International journal of Pulmonary & Respiratory Sciences is an internationally accepted, Peer reviewed, online journal which deals with the publishing of high quality articles related to all branches of Pulmonary & Respiratory systems. The journal also includes pathology of the organs, diseases, their diagnosis related to chest, lungs, respiratory tracts and their treatment methods. 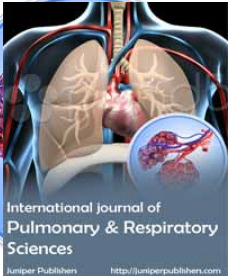 Some of the topics that fall under the journal scope include Lung Transplantation, Asthma, COPD, cystic fibrosis, Airway Obstruction, infectious lung diseases, Pleurisy, Lung Cancer, Sleep-disordered breathing and any other aspect concerned with lung, pulmonary & respiratory systems. IJOPRS accepts all the Research, Review Articles, Mini- Review, Short Communications, Opinions, Case Reports, and Letter to Editors etc., from researchers, scholars and scientists of the field.